One of the most enjoyable things for a gardener is seeing a flower bloom in spring that was planted years before. These types of flowers, called perennial flowers, come back year after year. These types of plants make a great choice for a beginner gardener because of their durability and low maintenance. Perennials can survive through multiple dormant seasons, even after they seem to completely vanish in the fall or winter. In spring, they harness energy stored in their rootstocks to grow new shoots and leaves. Their rootstocks are often in the shape of a bulb. Plants like onions and garlic are technically perennials, but only if they aren’t eaten after one or two years! A perennial is different from an annual or biennial plant. Instead of persisting for just one or two years, perennials can outlive the gardener! But usually, pests or disease get to them before that happens. Here’s our list of the 5 easiest perennial flowers to grow in your garden, and what makes them so low maintenance! 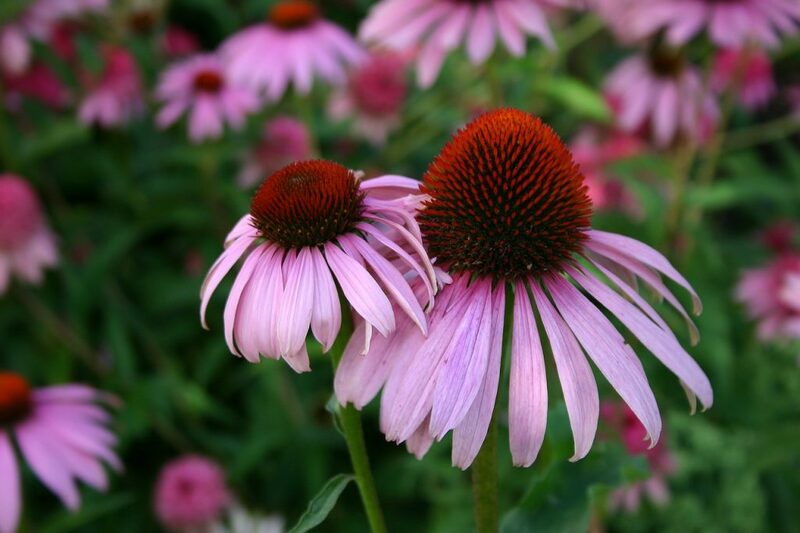 Echinacea is a popular perennial in the sunflower family. They are native to the eastern United States, but now grow in gardens all over the world in temperate regions. The flowering stalk can grow to be a little over a meter in tall, and grow relatively fast. Plus, the flowers themselves can last for over a month. So, they provide gardeners with an option that will certainly make a statement in the spring. 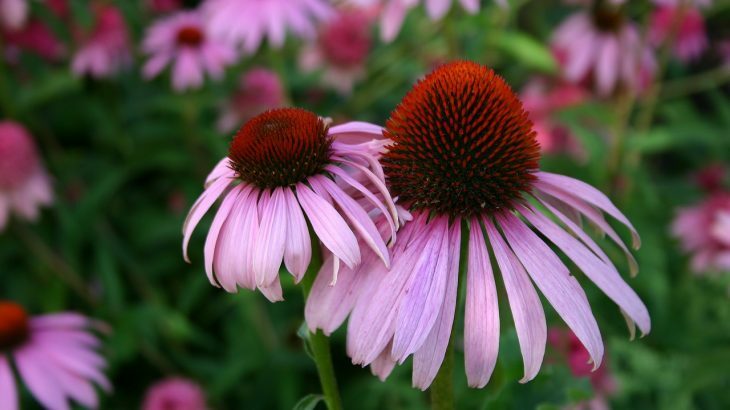 Aside from their towering, vibrant flowers, people also use Echinacea as a medicinal plant. The leaves are commonly used in teas and tablets, and contain anti-inflammatory properties that can treat colds and the flu. These durable, long-lasting blooms are perfect for any garden, especially for beginners! Another easy perennial to grow in your garden are daylilies. These showy plants are native to eastern Asia, mostly in China, Korea, and Japan. The actual flowers of daylilies are rather shortlived and only last one day. Fortunately, another flower blooms soon after another. 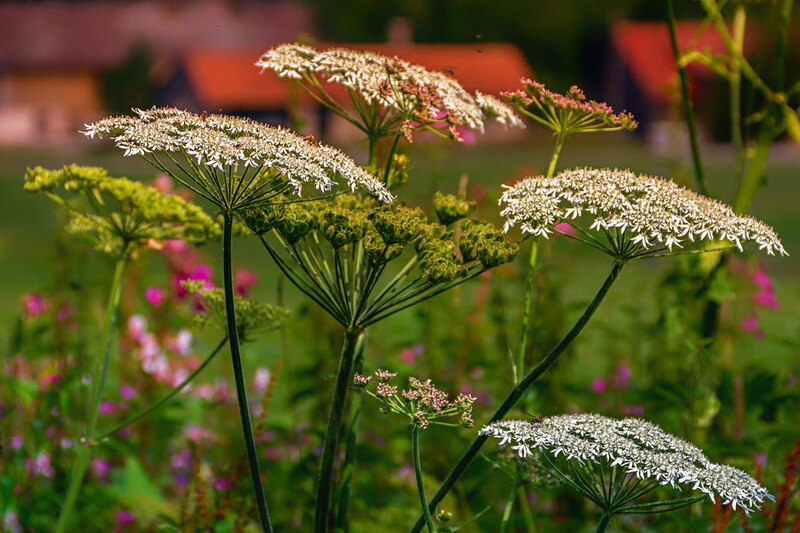 Horticulturists have been tending to these flowers for generations, and now there are well over 80,000 cultivars. 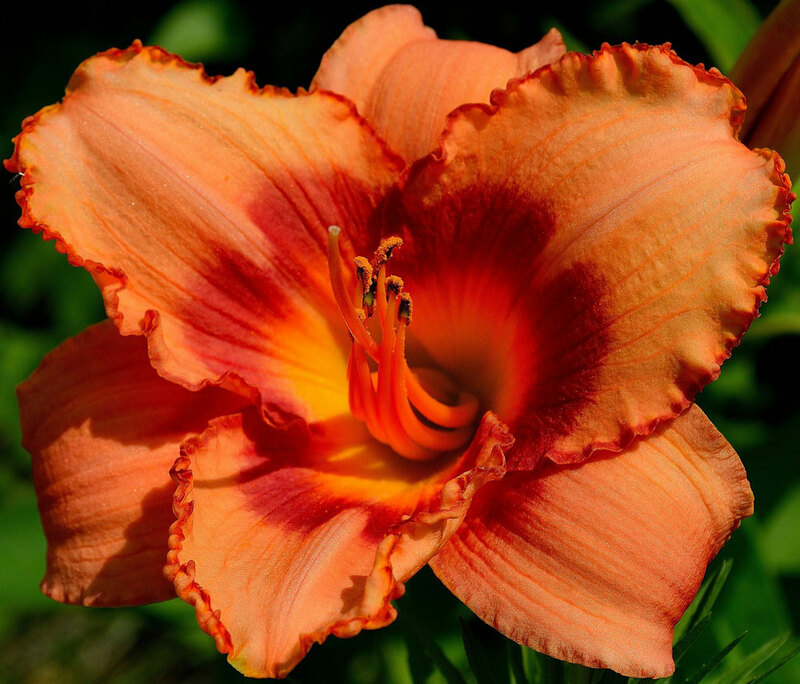 The variety of colors and patterns of daylilies that are on the market today can be overwhelming. But, they certainly give a gardener many options to choose from! Yarrow is a plant that doesn’t recognize borders. It’s native to most of the northern hemisphere and grows in many parts of North America, Europe, and Asia. Yarrow is incredibly durable, which is one reason it’s so widespread. It can tolerate poor soils and survive long droughts. So no matter what type of environment you live in, yarrow can probably live there too. Yarrow also supports your native wildlife. Because this wildflower is found naturally in so many different parts of the world, there’s a good chance you would be helping your local pollinators by planting it. Yarrow is also used for medicine, and some even brew beer with it! Irises are one of the most common perennials. Like daylilies, there are loads of cultivars to choose from. Bearded irises are one category of cultivar, named for the beard-like petals. Because there are so many types of irises, it can be tricky choosing which one is right for your specific environment. Luckily, local garden stores and nurseries usually keep these flowers on hand and should know which types would fare best at home. 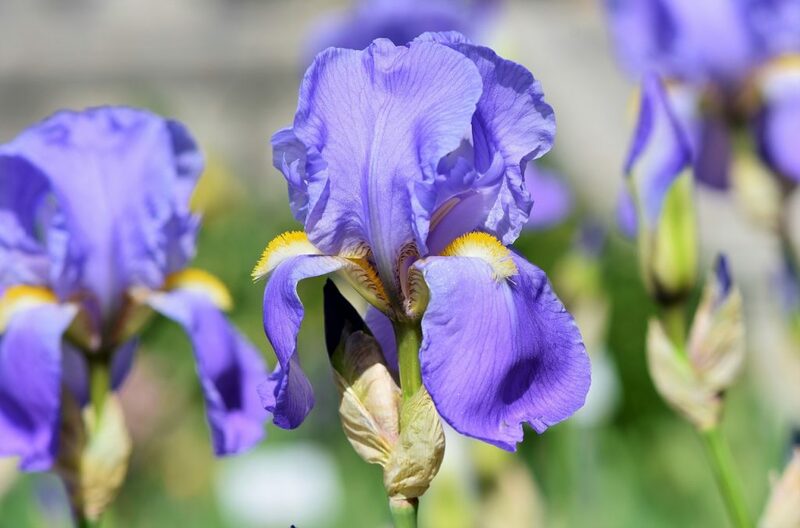 Irises are generally very hardy and, like yarrow, grow well in dry soil with little water. However, they won’t typically tolerate soil that’s too wet, so a spot in the sun is this flower’s favorite. Irises are one of the best flowers to cut for an arrangement, another reason this is a great perennial choice. Sedums, also called stonecrops, are the champions of hardiness. Many have adapted to have succulent leaves in order to survive through the hottest and dryest of summers. Others are equally as happy through frigid, frosty winters. Sedum is commonly used as a groundcover. 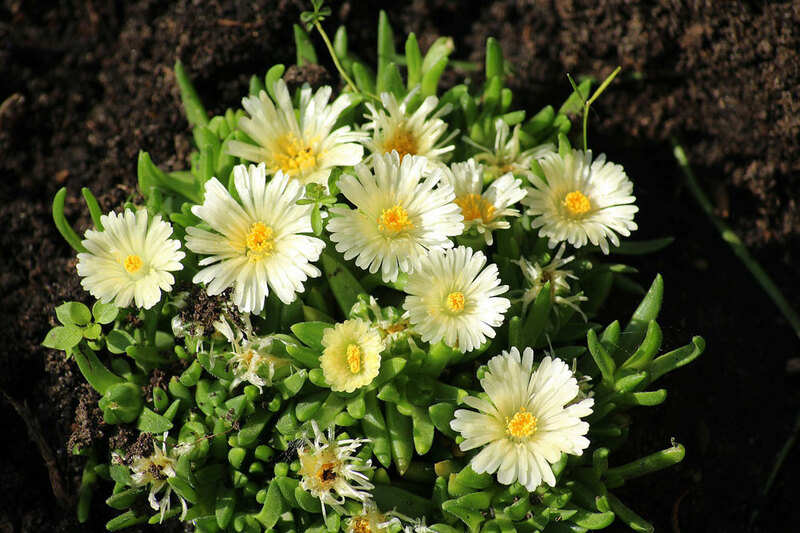 The creeping plant can cover poor soil that other plants wouldn’t even consider growing in. They can also cover rocks and steep slopes most vegetation would struggle on. Although sedum doesn’t die back completely in the winter, unlike most other perennials, it will grow bigger and stronger year after year. Plus, the green leaves can change appearance and turn a soft red color in winter. Sedum is one of the easiest plants to care for, as they require little maintenance and will continue to grow through virtual neglect. Did we miss any easy perennial flowers? Let us know in the comments!